Music for Orchestra from Gravel Studios. Autumn Scenes from Morgan County, West Virginia is a piece in five movements for chamber orchestra. Each movement represents a different autumn day in the county where I live. Equinox, Apple Butter Festival, Halloween, and Thanksgiving. 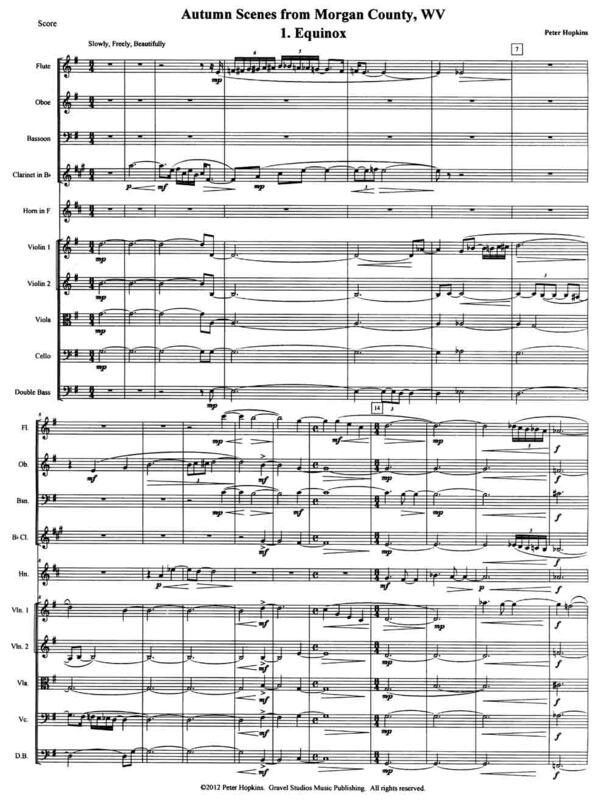 Written for strings, with Flute, Oboe, Bassoon, Clarinet, and Horn. Video Game is composed in the style of classic video game music from the 80's. It has five movements: 1.Title Screen, 2.Run, Jump, Shoot, 3.Love Interest, 4.Final Battle, & 5.The End (Thanks for Playing!). This piece is designed to be easily playable by a good middle-school level ensemble. Suitable for either string orchestra, or full orchestra with optional wind parts.